Sending out mailings is still one of the major methods of advertising, even in a digital world. Taking stock of this industry segment is important for printers today, especially with so many of the other physical media methods fading in importance. Marketers can still use the postal service as a compelling conduit for getting information to their customers. That means you can use expertise in this sector as a major selling point of your services. That said, the printing business has changed in recent years. While mail has held on as an important communication form and advertising sector, it's fair to say its value has come in for reassessment. With digital media taking over in many marketing channels, companies are likely examining their mailing spend closely. If you study the current state of the sector, you can form a clear picture of how to turn a profit offering this type of outreach. Pursue this product without doing homework, however, and you may find your version of mass mailing is out of step with what clients want. WhatTheyThink's Mark Hahn recently broke down the amount of mail shipped every year, using these statistics as a jumping-off point to discuss the printing industry's current engagement with postal offerings. For instance, Hahn noted the very slight decline in mail volume compared to the drop-off between 2008 and 2009. That fall-off, he explained, occurred in the heart of the recession, with companies slashing outlay on programs such as direct mail. In the years since, there has been less of a decline. So, if mailings aren't as popular post-2008 as they were before, what kind of strategies have caused this change, and which are thriving within it? 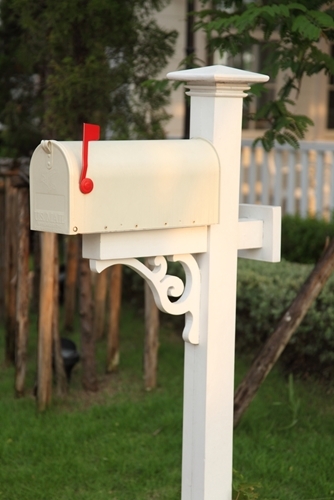 One of the major factors explaining the drop in mail is a spiraling price increase effect. Hahn specified that, in the immediate aftermath of the recession, the Postal Service decided to raise mail rates. Facing these new costs, companies decided to cut back on the bulk of mail they sent out. This means fewer letters in total, which is the same thing that caused rates to spike in the first place. Rather than battling back against this world of limited-scale mail campaigns, it's time to discover best practices and exist within it. Focus is more important today, Hahn explained, with organizations working on mailing lists that receive constant and careful attention to ensure they represent real, likely customers. Margins of wasted mailings have been cut down significantly. If you can tailor your services to suit this more focused model, you may increase your standing as a valuable print service provider plugged into modern marketing needs. Of course, the tech you employ may have a significant effect on whether you can achieve profit margins that make direct mail worth pursuing. Hahn specified that digital printing and automated processes are the crux of the new mailing economy for printers. Some of the tech needed to make these campaigns feasible and effective is already on the market and more is on the way. This means if your print business has the right equipment in-house, getting involved with mailings is more promising. Another key to establishing a direct mail footprint may involve working specifically with marketers going after particular demographics. Getting attention for a mailing campaign is more likely when it's pointed at a group less active online. American Banker contributor Kevin Tynan gave a pertinent example: When his company was reaching out to its customers, it found many groups are not receptive to email. The bank switched back to a twice-annual newsletter sent through the mail. Tynan noted that seniors are especially likely to disregard email. Companies hoping to reach an older audience should consider the vast number of individuals over 65 who don't use the internet. The stability of physical mail could be very helpful for organizations that focus their efforts on baby boomers. The type of company in question also matters – Tynan's experience comes from the financial field, where security is a central issue. People may not be comfortable corresponding with banks through email. The author also concluded that mail has tangible benefits, no matter the field. People are inclined to give time to physical media. An email message may hit the digital trash can without much of a look from the recipient. A physical piece of mail demands more attention and time. If you can calibrate your print business to create affordable and effective mail marketing campaigns, ones that fit the way companies today think, it could become a helpful niche and a differentiator from competitors. With some forms of communication switching to digital methods, it's important to take stock of those where the experience of sending an actual, paper document is significantly different and appreciated. Mail could become a major selling point for your organization, provided you do adequate homework on its feasibility.